Looking for a Drug Rehab or Alcohol Rehab Facility in Oregon? 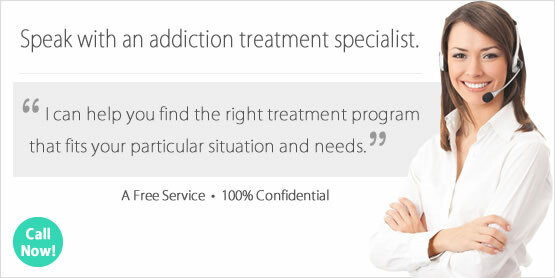 Drug rehab in Oregon is available in a number of different lengths and treatment methods. There are short-term programs lasting less than a month and long-term programs where the client attends treatment for several months on end. Just as there are different treatment lengths, there are various types of rehabilitation methods and environments. Some programs are based on the 12-step techniques where others are holistic and focused on healing the body from the inside out. Drug rehab in Oregon is also conducted in different environments. Inpatient programs are considered more intensive than outpatient treatment because the client moves in and resides at the treatment facility during their recovery. On the other hand, outpatient programs offer more flexibility for the recovering individual because they are able to continuing living at home and maintain most aspects of their day to day life while in treatment. If you or someone you care about is in need of drug rehab in Oregon, speak with one of our counselors. Through a series of questions, they will be able to determine what treatment type and length of program will best fit the addict's recovery needs. Statistics from Oregon's most recent Treatment Episode Data Set (TEDS) in 2012 on the state's substance abuse treatment admissions by primary substance of abuse indicates the leading illegal substance of abuse throughout the state was marijuana, amphetamines and heroin. During 2012, a total of 46,547 admissions were recorded by Oregon drug rehab programs. While the primary substance of abuse sending residents into treatment during this time period was alcohol (30.2% of all treatment admissions), the second most commonly reported substance was marijuana (17.1%). Marijuana addiction admissions were closely followed by amphetamine addiction enrollments (15.4%) and heroin addiction admissions (12.1%). According to recent reports from the Oregon High Intensity Drug Trafficking Area Program on drug trafficking throughout the state, meth continues to be a serious threat. In the article, methamphetamine use and trafficking has increased. The dangers of meth and its production remains one of Oregon's greatest drug threats, trailed by heroin, marijuana, controlled prescription drugs, cocaine and designer drugs. This report notes that Oregon's legal medical marijuana production locations are regularly exploited to supply black-market sales of the drug. During 2012, the TEDS report notes 14,041 individuals received alcohol treatment in Oregon that year. Alcohol addiction was the leading reason behind Oregon drug rehab enrollments, making up 30.2% of all drug rehab admissions in the state during 2012. According to the Substance Abuse and Mental health Services Administration (SAMHSA) "In Oregon, about 268,000 individuals aged 12 or older (8.2% of all individuals in this age group) per year in 2009'2013 were dependent on or abused alcohol within the year prior to being surveyed. The percentage did not change significantly over this period." Recovery from alcohol addiction is often a difficult process. This substance is physically addictive, and may require detoxification before rehabilitation can formally begin. Typically, inpatient alcohol treatment in Oregon is recommended, but outpatient rehab centers can offer guidance and support to help addicts stop drinking. The severity and length of addiction plays a crucial role in determining what type of alcohol treatment in Oregon will offer the problem drinker the best chance of lasting sobriety. If you or someone you care about is in need of alcohol treatment in Oregon please contact or services for guidance and support. The choice to attend inpatient vs outpatient treatment in South Dakota will take careful consideration. The first step in making this important decision is to understand the difference between inpatient vs outpatient treatment. Generally speaking, inpatient drug rehab programs have the client move into the treatment facility during their rehabilitation. This ensures they have access to care around-the-clock as well as a safe and substance-free environment during their recovery. These programs range in length from short-term inpatient programs where the program participant lives in the facility for less than a month, to long-term care lasting several months; often an average of 90 days. Statistically, inpatient treatment provides greater success rates than other forms of treatment. The National Survey of Substance Abuse Treatment Services (N-SSATS) conducts an annual state by state report on specific fascists of the substance abuse treatment programs operating in the state. The survey data from the March 29, 2013 report indicates there were 49 residential or inpatient drug rehab programs in Oregon at that time. There were also 4 hospital inpatient programs in operation during the time the survey was conducted. Statistics from the 2011 TEDS survey on national inpatient vs outpatient success rates reveal that more individuals complete inpatient treatment than any other form of addiction rehabilitation. In this survey, 54% of the individuals enrolled in short-term inpatient treatment completed their programs whereas only 33% of intensive outpatient treatment clients completed their programs during the same time period. Outpatient drug rehab centers provide addiction treatment services without the client having to live in the rehab facility. These types of programs typically have the client attend the outpatient treatment program during the day or in the evening while they continue to live at home or in a sober living facility. This type of treatment is highly desirable for individuals who must maintain most aspects of their day to day life such as work, school or family while enrolled in rehab. Also, another reason why outpatient treatment if often the first choice among recovering individuals is that this form of rehab is usually less expensive than inpatient care. The cost is significantly less due to the program participant not requiring room and board during outpatient treatment. Information from the March 29, 2013 N-SSATS report notes there were 222 outpatient treatment programs in operation at the time of the survey. These outpatient treatment centers ranged from regular outpatient services to methadone maintenance. This type of treatment involves leaving home and moving into the rehab facility around-the-clock. The recovering person will spend the duration of their program focusing on getting clean and addressing the issues that had them seeking substance use to escape or solve their problems. Through inpatient treatment, the recovering individual will develop new healthy ways to address their personal problems and improve their quality of life. This experience provides the recovering addict not only the time to get clean and sober, but also a safe and therapeutic environment to do so. They are able to practice living day to day without drugs or alcohol before returning home to the "real world". The 2013 N-SSATS article indicates there were a total of 49 residential and inpatient programs in Oregon at the time of the survey. Many of these facilities provide more than one type of care. Of the 49 inpatient or residential programs in Oregon at the time of the survey 32 provided short-term care (less than 30 days), 46 provided long-term care (30 days or longer) and 21 provided detoxification services. Additionally, there were 4 hospital inpatient programs. All 4 of these programs offered detoxification services but only 1 provided treatment for substance abuse and addiction. The decision to enter inpatient treatment in Oregon can be a difficult one. Our counselors are available to help identify and match the addicted person's needs with local inpatient treatment options. What Does Outpatient Rehab in Oregon Involve? Getting help for drug or alcohol addiction is a big step in the life of an addict. Enrolling in an outpatient treatment program in Oregon involves committing to attending the program on a regular basis and remaining sober when away from the facility. Outpatient treatment makes it possible for the addicted person to get the addiction treatment they need, while maintaining many aspects of their day to day life. The recovering person will participate in group sessions such as therapy and counseling during outpatient treatment as well as work on relapse prevention techniques. Statistics from the 2013 N-SSATS survey show there were 214 outpatient treatment programs in Oregon at the time. Many of these facilities provide more than one type of care. Of the 222 outpatient programs in Oregon at the time of the survey: 214 provided regular outpatient treatment, 175 provided intensive outpatient treatment, 37 provided day treatment or partial hospitalization, 30 provided detox services and 17 provided clients with methadone/ buprenorphine maintenance or Vivitrol. We understand how important outpatient treatment is and the many benefits it provides those who graduate. If you or someone you care about needs treatment, contact our addiction specialists to find out more how our services can help find the right program in Oregon.